World Bank Group President Jim Young Kim. Photo from the World Bank's Flickr archive. Even though in 2013 the bank announced it would stop financing coal-fired generation projects, oil and gas investments still account for about 2% of its $280-billion asset base. "We're determined to work with all of you to put the right policies in place, get market forces moving in the right direction, put the money on the table, and accelerate action," Kim said in a speech delivered in Paris. "That's the only way we can meet the commitments we made two years ago, and finally begin to win the battle against climate change." The head of the World Bank is attending, together with dozens of government and industry leaders from different countries, an international climate summit being hosted by French President Emmanuel Macron. The meeting marks the second anniversary of the signing of the Paris Agreement on Climate Change. Kim also explained that his organization is on track to meet its target of 28% of its lending going to climate action by 2020, as well as the goals of its Climate Change Action Plan – developed following the Paris Agreement. 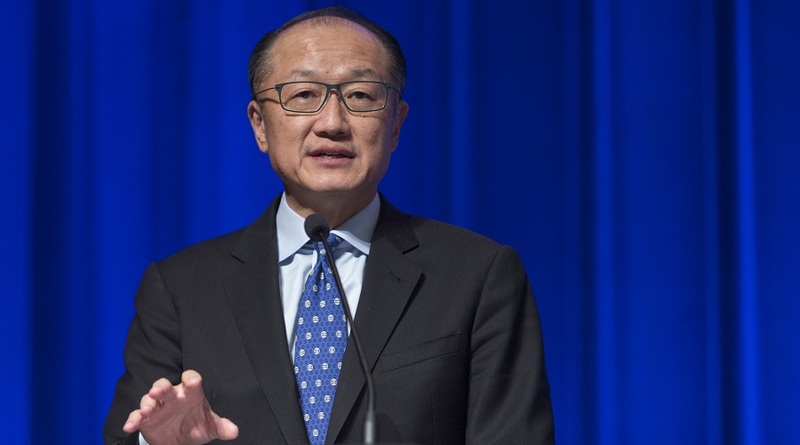 According to the exec, starting next year, the World Bank will begin reporting greenhouse gas emissions from the investment projects it finances in key emissions-producing sectors, such as energy. It will also be applying a shadow price on carbon in the economic analysis of all IBRD/IDA projects in key high-emitting sectors. Kim said that bolder announcements surrounding the Washington-based development bank’s path towards a greener future will be made at the 24th Conference of Parties, which will take place in Poland in 2018.